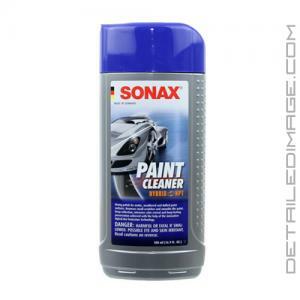 The SONAX Hybrid NPT Paint Cleaner, formerly known as Nano Technology Paint Cleaner, can help you restore neglected paint or maintain newer paint. This is a powerful paint cleaner that also applies a coating of wax to the paint at the same time so it's really an All In One (AIO) product. The combination of polish and wax make it a versatile product everyone can use. Apply it by hand or with a buffer to permanently and safely remove swirls, oxidation, surface contaminants and more. It's powerful cleaning properties can take any paint and make it looks more like new again. The nano technology used with the wax particles makes them extremely fine so they can hide any remaining imperfections extremely well. The rich blend of carnauba wax will also leave a layer of protection behind that helps preserve the paint while enhancing it's appearance. 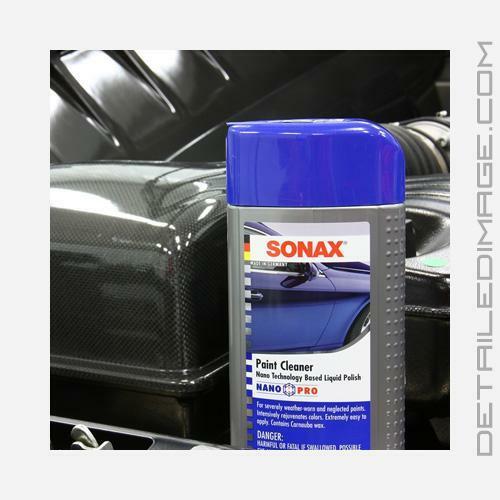 If you want to polish and protect in one step the SONAX Hybrid NPT Paint Cleaner is an outstanding choice! 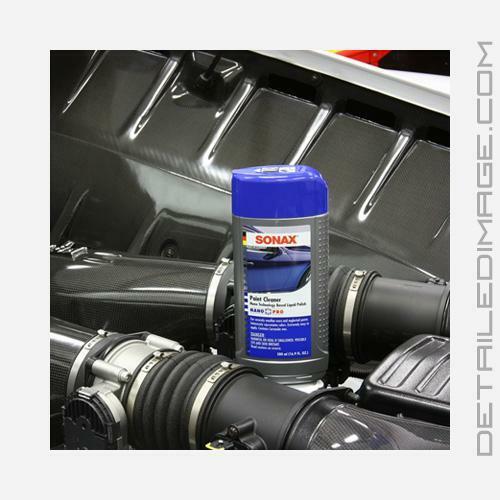 I believe that Sonax Nano Tech Paint Cleaner is one of the best kept secrets out there in the detailing world right now, and while I could have easily kept it as my own trade secret, I felt it was my responsibility to share it with the industry of both professionals and enthusiasts. It sure does work wonders on softer paints (Japanese, Porsche's, and just about anything that is a pure black). And the fact that it can be used effectively both by hand and machine on a multitude of finishes just makes this product so much better. Paint Cleaner is one of those products, similar to many other AIO polishes, that can make a huge difference in your paint without the huge investment in time and money associated with labor intensive paint correction details. Strong polish for matte, weathered and dulled paint surfaces. Removes small scratches and smooths the paint. Deep reflection, intensive color revival and long-lasting preservation achieved with the help of the innovative Hybrid Net Protection Technology. Highly effective polish removes weathered paint layers and revives colors. Extremely fine aluminum oxide powder removes light scratches caused from the washing systems and common handling marks. The new Hybrid Net Protection Technology produces a brilliant, deep gloss and noticeable water repellent effect. Special organic substances bond with inorganic components constructing a stable, weather-resistant barrier to the elements. For even longer lasting gloss and protection, SONAX recommends SONAX Liquid Wax. Wash and dry the vehicle manually or in a washing system. Shake the bottle well before use. Apply the polish onto an application sponge (SONAX Application Sponge) or a soft cloth and evenly work into the paint, applying moderate pressure. Always work in small sections (2'x2') and in a single processing step. Remove the polish residue immediately using a clean microfiber cloth. SONAX Paint CLeaner can be applied using a polishing machine. Do not use on hot surfaces. Do not use on unpainted plastic and rubber components. Protect against frost. Tested this product on a severely oxidized and poorly maintained black 90's Nissan. Wow, was my first reaction. I only tested it on the trunk lid, but not only did it remove all of the chalky oxidation, it also removed several light scratches and swirls that were caused by books and spiral notebooks that the owner use to place on the trunk after school each day. I have tested a handful of All-In-One products and they were great, but NONE have this amount of correction ability. If you are doing production paint correction and looking for an All-in-one product that will produce good results look no further. Nothing out there will get the job done quicker or more effectively than Sonax hybrid NPT. I purchased this based on Todd's review and have used it only once so far. I am very pleased with this product. It was used as a finishing polish on the roof of my 1949 Chevrolet one-ton panel truck before the truck went into Winter hibernation in a friend's barn. Paint on this vehicle is air-dry enamel and is over 35 years old. I had neglected the roof somewhat in routine appearance detailing and it started to look subpar when compared to the rest of the truck. The Nano Technology Paint Cleaner was used following a Nanoskin pad cleanup on the roof. Though I have a Flex rotary polisher, the decision was made to use the paint cleaner by hand to minimize sling when working up on a ladder on this tall truck's roof panel. The roof is a medium non-metallic blue color and this product greatly improved both clarity and gloss in a single application. I did not follow with any LSP as this cleaner contains some wax and the truck is not going to be exposed to weather until it emerges in Spring. I am anxious to use this product with the buffer on some modern finishes. Great AIO especially for daily drivers and neglected paints. As prev posted, it works great on soft paints and the wax leaves a nice finish.